Описана теоретическая база молекулярного лиганд-белкового докинга; описан сеточный подход к ускорению докинга; представлена декомпозиция задачи для параллельных вычислительных систем; обоснована актуальность применения графических процессоров. Kuntz I. D. Structure-based strategies for drug design and discovery // Science. 1992 by the American Association for the Advancement of Science, 1992. Vol. 257, № 5073. P. 1078–1082. Natasja Brooijmans, Irwin D. Kuntz. Molecular recognition and docking algorithms. Annu. Rev. Biophys. Biomol. Struct. 2003. 32:335–73. MacKerell A. D., Jr. «Atomistic Models and Force Fields» in Computational Biochemistry and Biophysics, O. M. Becker, A. D. MacKerell, Jr., B. Roux and M.Watanabe, Eds., Marcel Dekker, Inc. New York, 2001, p. 7–38. MacKerell A. D., Bashford D., Dunbrack R. L., Evanseck J. D., Field M. J., Fischer S., Gao J. et al. (1998). All-Atom Empirical Potential for Molecular Modeling and Dynamics Studies of Proteins. The Journal of Physical Chemistry B, 102(18), 3586–3616. doi:10.1021/jp973084f. Goodford PJ. A computational procedure for determining energetically favorable binding sites on biologically important macromolecules. J Med Chem 1985; 28:849–857. Michael K. Gilson, Huan-Xiang Zhou. Calculation of Protein-Ligand Binding Affinities. Rev. Biophys. Biomol. Struct 2007. 36:21–42. Todd J. A. Ewinga, Shingo Makinoa, A. Geoffrey Skillmana, Irwin D. Kuntza. DOCK 4.0: Search strategies for automated molecular docking of flexible molecule databases. Journal of Computer-Aided Molecular Design, 15: 411–428, 2001. Cornell W. D., Cieplak P., Bayly C. I., Gould I. R., Merz K. M., Ferguson D. M., Spellmeyer D. C. et al. (1995). A Second Generation Force Field for the Simulation of Proteins, Nucleic Acids, and Organic Molecules. (P. E. Bourne, Ed.) Journal of the American Chemical Society, 117(19), 5179–5197. Wang J., Wang W., Kollman P. A. & Case D. A. (2006). Automatic atom type and bond type perception in molecular mechanical calculations. Journal of molecular graphics modelling, 25(2), 247–260. Wang J., Wolf R. M., Caldwell J. W., Kollman P. A., Case D. A. “Development and testing of a general AMBER force field”. Journal of Computational Chemistry, 25, 2004, 1157–1174. Wang J. et al. Antechamber, An Accessory Software Package For Molecular Mechanical Calculations // Molecules. AMER CHEMICAL SOC, 2001. Vol. 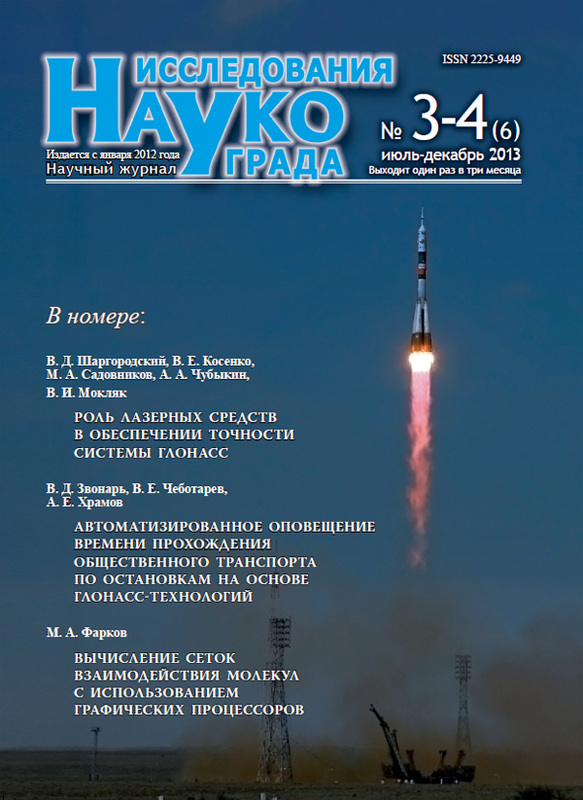 222, № 2. P. U403–U403. Mehler E. L. & Solmajer T. (1991). Electrostatic effects in proteins: comparison of dielectric and charge models. Protein Engineering, 4(8), 903–910. Фарков M.А. Вычисление сеток взаимодействия молекул с использованием графических процессоров // Исследования наукограда. 2013. 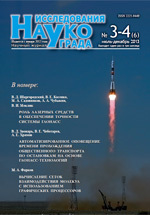 № 3-4. С. 46-49.